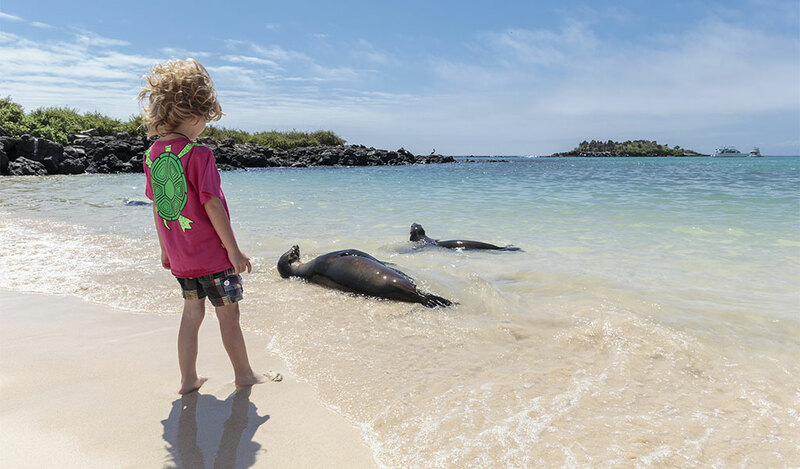 The Finch Bay Galapagos Hotel, a proud member of National Geographic Unique Lodges of the WorldTM, is your Galapagos exploration headquarters, a beachfront base from which to discover the wildlife of the islands aboard our private yacht, and create your own adventures on land and on sea. 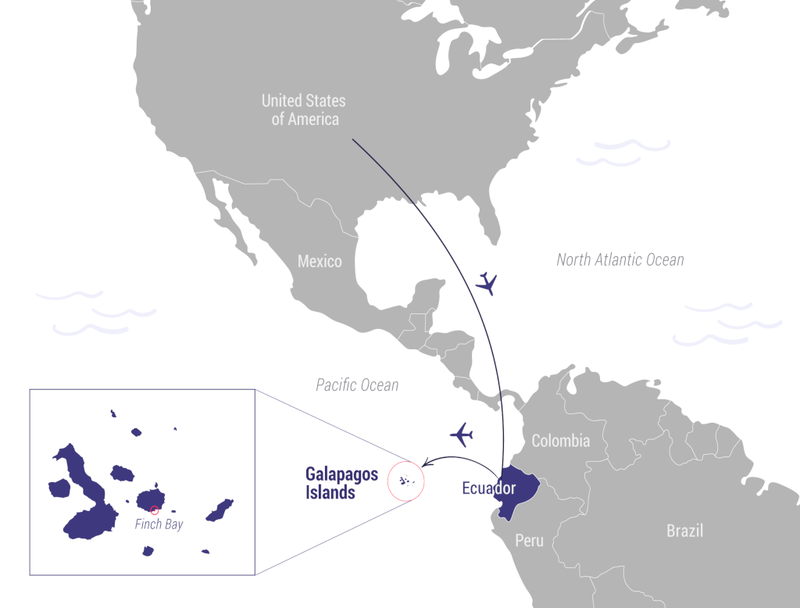 The perfect complement to a Galapagos cruise, or a destination on its own, a stay at the Finch Bay allows you to feel the islands’ essence. Six Finch Bay Suites all offer direct ocean views with private balconies to provide you with your own space for appreciating this privileged environment, while Finch Bay Rooms are a fresh, relaxing retreat, where crisp bed linens, stylish interiors and balconies with space to sling a hammock are standard. Our collection of rainwater, energy-saving measures, recycling, and daily beach-cleaning all show how we strive to leave the islands pristine and to preserve them for generations to come. Sustainability is at the heart of everything we do. Finch Bay, a secluded eco-hotel accessible only by boat. The lodge sits outside Puerto Ayora and overlooks a small, sandy beach surrounded by mangroves, which chirp with the sound of finches from which the hotel takes its name. 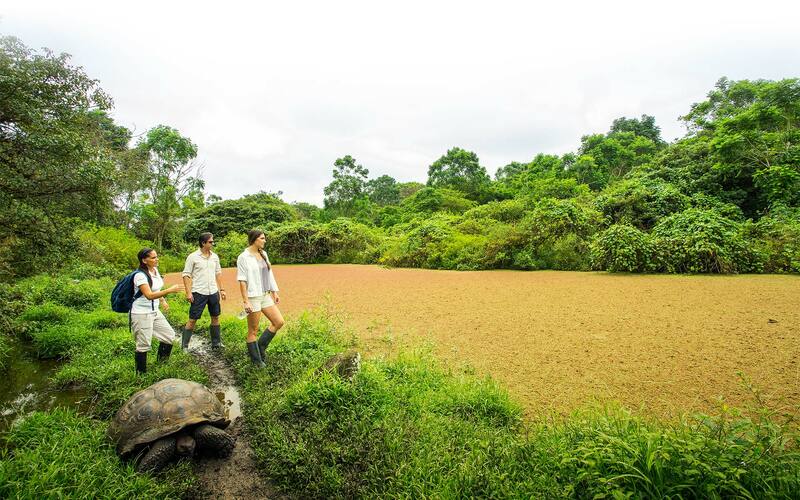 The Finch Bay satiates the growing trend for land-based Galapagos exploration; perfect for those that have not found their sea legs or who wish to explore the Galapagos archipelago independently without following the regimented itineraries of a cruise. 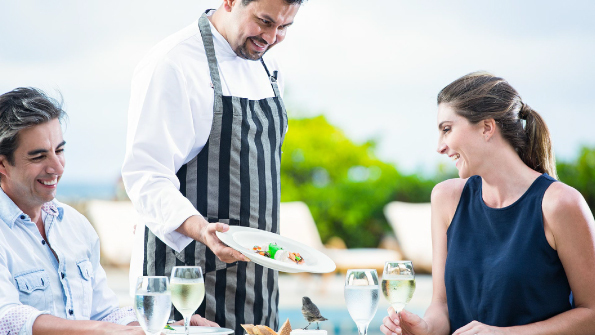 The only beachfront hotel in all Puerto Ayora on Santa Cruz Island, the Finch Bay Eco Hotel delights with seclusion, beautiful natural surroundings, a sun-splashed swimming pool, and fine dining prepared from the freshest ingredients by a Le Cordon Bleu-qualified chef. Finch Bay Eco Hotel is a chance for some terrestrial luxury. Finch Bay, a luxury eco resort that overlooks an idyllic white sandy cove where sea iguanas scurry past sun bathers into the waves.